Lantek recently presented a set of applications that allow the path to digital transformation to unfold quickly and intuitively for companies in the sector. These applications now make up the suite of cloud-based products called Lantek 360. Users of Lantek 360 will have applications with enormous capabilities, and will be able to access and process large amounts of data in real time as well as historical data. In the context of concepts like Connected Plant, Advanced Manufacturing, and Industry 4.0, we have paved the way with different technologies such as Big Data, Cloud Computing, and Artificial Intelligence, which open up new pathways for the industry and manufacturing. Digitalization offers an immense number of options at the outset and perhaps that is a problem. There are so many technologies and each one offers so many applications that companies don’t know where to begin or what to prioritize. Aware of this fact, Lantek recently presented a set of applications that allow the path to digital transformation to unfold quickly and intuitively for companies in the sector. These applications now make up the suite of cloud-based products called Lantek 360. Users of Lantek 360 will have applications with enormous capabilities, and will be able to access and process large amounts of data in real time as well as historical data. The increased computing capacity and information processed by our Lantek 360 services will help throughout the chain; it will also allow each profile to interoperate and involve all players who work on production. Lantek 360 is currently made up of four applications: Lantek Control Panel, Lantek Analytics, Lantek iQuoting, and Lantek MetalShop. The use of cloud-based software is an everyday occurrence in many parts of modern life. Data availability, safety, and the guarantee that only the latest versions are used facilitate its implementation. Data access from different locations for different profiles allows for the utmost flexibility in operations where multiple plants and mobile plants are in play. 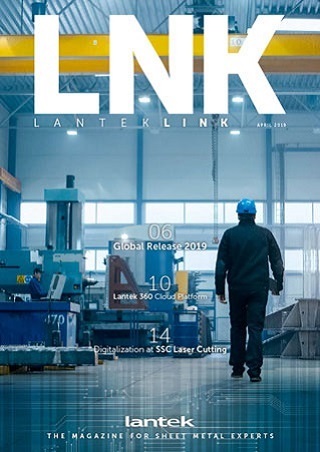 Lantek stresses that the digitalization of the sheet metal and tube cutting sector is in an incipient phase and as a result of this, it urges its customers, regardless of their size, to follow a gradual path toward digitalization, although the pace can be adapted. The starting point is accelerating the interoperability of machines and their production processes with the other management practices. This is when data analytics solutions can be applied to establish predictive patterns and ensure decisions can be made quickly and accurately. Lantek Control Panel is a cloud application that allows data to be viewed and analyzed in real time, showing the current status and availability of machinery and machinery workload, among other parameters. The application was mainly designed for workshop managers. It offers a full view of the plant, allows alerts and notifications to be received on the processes, and works like a virtual control panel on smartphones and tablets. Not only the status of production is shown, but also downtimes and breakdowns. Business activity information such as requests and new order confirmations can be seen at anytime and in real time. And thanks to its alerts, managers can react as quickly as possible in the event of emergency. Lantek Analytics is the first comprehensive solution to fully analyze both manufacturing and commercial management; it allows production data to be analyzed in order to facilitate proper decision-making. The application is comprised of two modules: "Manufacturing Analytics" and "Customer Analytics." The software has several relevant predefined KPIs that allow the cutting plant management model to be analyzed as well as for action to be taken on it. The Lantek Analytics software was designed to be easily installed, thereby minimizing the impact on the facility and never interrupting manufacturing processes. Moreover, it ensures an easy and fast learning curve so that both engineers and directors can benefit from data analytics. Lantek iQuoting, the cloud tool to create quotes, allows users to generate quotes and view customer data from anywhere at anytime. The system uses its own data related to nesting, production order management, and operations management intuitively and in a way that is easy to use. The application even allows users without technical knowledge to be able to create precise calculations in a short period of time. Within a duly integrated system, this is not merely a calculation tool, as it can verify the availability of materials and capacity. It includes material, production, and transport costs in its calculations, as well as individual customer rates. Lantek MetalShop is an online metal part shop. 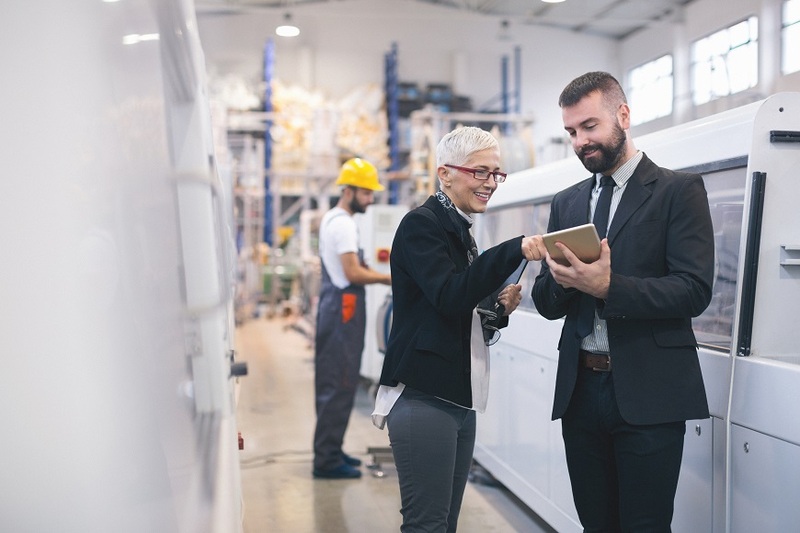 Especially suitable for contract manufacturers, it offers an interesting opportunity to provide customers with an additional way to obtain offers. The system checks the parts and then generates the offer. In short, with the Lantek 360 platform, manufacturers will be able to establish a closer relationship with their customers by facilitating their commercial activity and maximizing the performance and profitability of their production. The company is quite satisfied with the warm welcome and interest the new 360 platform has generated among its cloud solutions customers, who have undoubtedly reached the market and responded to the challenges posed by the digital transformation of the metal and sheet metal sector at the right time.